Home / Featured / Science and Religion / Slider / who discovered pi and formula of Circumference? who discovered pi and formula of Circumference? The value of pi is most important in modern science as well as mathematics. The value of pi using everywhere small unit measure of electron and a large unit of galaxies planets as well as the whole universe. we can't imagine mathematics without pi. To find volume and area of circular object need pi. 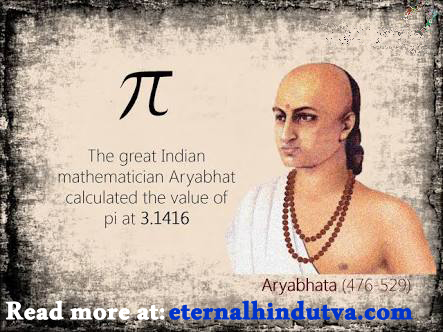 Aryabhatta already had discovered the value of pi. Add four in hundred, then multiply by eight and add sixty-two thousand. It's the value of Circumference which has twenty thousand diameters. Ten Questions Still Baffling Scientists.